Textile Thinking for Sustainable Materials (TTSM) was an interdisciplinary and international networking project conceptualised and convened by myself and Dr Rachel Philpott. It was supported by Loughborough University UK through the ‘Bridging the Gaps’ project, which was funded by the Engineering and Physical Sciences Research Council (EPSRC) UK. Researchers from across the UK and from Denmark with backgrounds in Textile Design, Industrial Design, Materials Science, Chemistry and Electronic Engineering participated. The project aimed to explore ways in which ‘textile thinking’ might inform the development of sustainable materials; alternative use of materials technologies in sustainable design; and applications of existing sustainable materials within new design contexts. The project focused around a two-day event, which was held at Loughborough University on 2nd – 3rd May 2012. It led to several publications and presentations that explore the notion of textile thinking within the context of design for sustainability including Textile Thinking for Sustainable Materials published in the Making Futures Journal, Volume 3 and Textile Thinking: a Flexible Connective Strategy for Problem Solving in Interdisciplinary Contexts. The project has also led to the establishment of several interdisciplinary research collaborations including a project on the use of textile dyes in solar cell technologies, which was supported by the Society of Dyers and Colorists. Project website - Textile Thinking for Sustainable Materials. The images here are from the TTSM event including an e-textiles workshop led by Rose Sinclair. 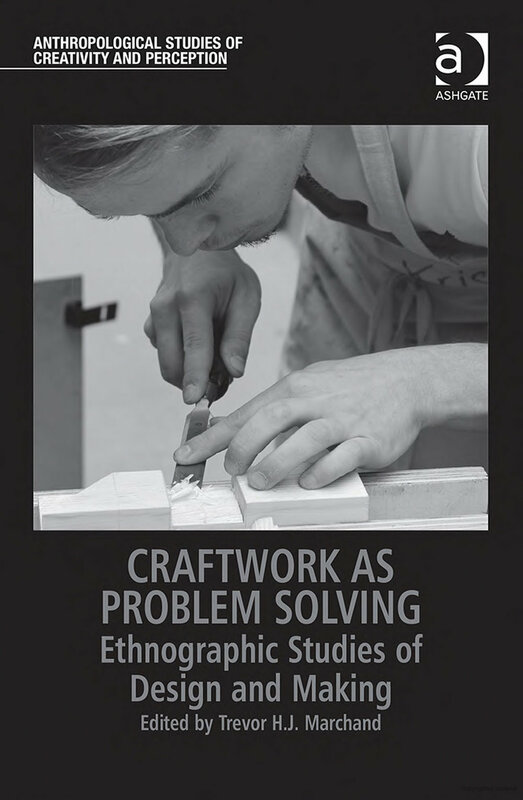 In the chapter we aim to demonstrate how ‘textile thinking’ can be used as an effective strategy for generating novel concepts, problem solving and creatively overcoming challenges in inter-disciplinary research contexts. Refining the concept of ‘design thinking’ as defined by Cross (2007) and building on work by Whan and Ilhan (2009) we argue that different design disciplines use distinct modes of thinking, filtering and organising information in ways that reflect their cultural values to define the notion of ‘textile thinking’ and begin to propose the use of textile thinking as a tool or approach to collaborative design research that aims to address design for sustainability. By reporting on an interdisciplinary networking project, ‘Textile Thinking for Sustainable Materials’ (TTSM), we reflect upon evolving practical methods of employing textile thinking and identify the inherent materiality and material related knowledge that is central to textile thinking as a defining and advantageous characteristic of this approach. Before discussing the notion of textile thinking and its application, we first explore the ‘problem’ under consideration - design for sustainability - and the context in which it is being considered - interdisciplinary research practice - alongside the broader notion of design thinking. See the book at Routledge.